For some, Christmas is a time of spiritual reflection. The value of the day is driven by its religious connotations, maybe even by the passion of the early morning service at your church. For others, Christmas is a time of giving and receiving – a day to be spent with family The day’s value is found from the excitement in children’s eyes as they open their gifts, from spending quaity time with good friends and family. For others, Christmas may have no special significance. Like data the value of your Christmas will depend on your purpose. 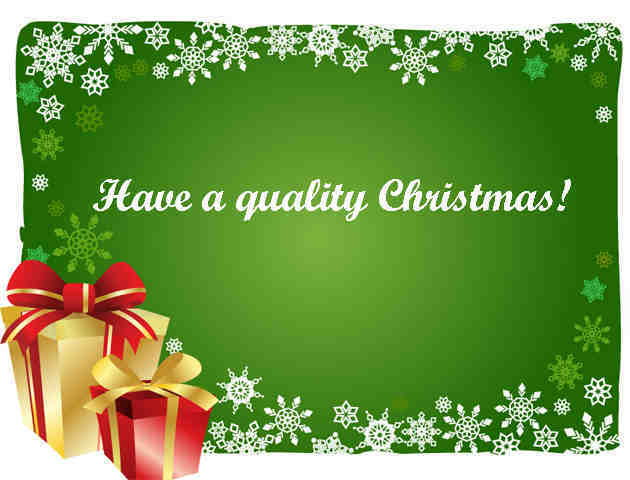 What ever your expectations, have a quality Christmas! December 24, 2013 in Data Quality.